Iranian fashion designer Shirin Guild designed the costumes for Yugen for The Royal Ballet in 2018, which formed part of a programme celebrating the centenary of Leonard Bernstein’s birth. Leading fashion designer Gareth Pugh reinvented traditional ballet dress to create bold, angular costumes for the 2012 production of Carbon Life for The Royal Ballet, and created costumes with variations of patterned geometric shapes for the 2015 Paris Opera Ballet production of Alea Sands. Aitor Throup is an artist and designer renowned for his work exploring the human anatomy through rich conceptual narratives, and he is the executive creative director of G-Star RAW. 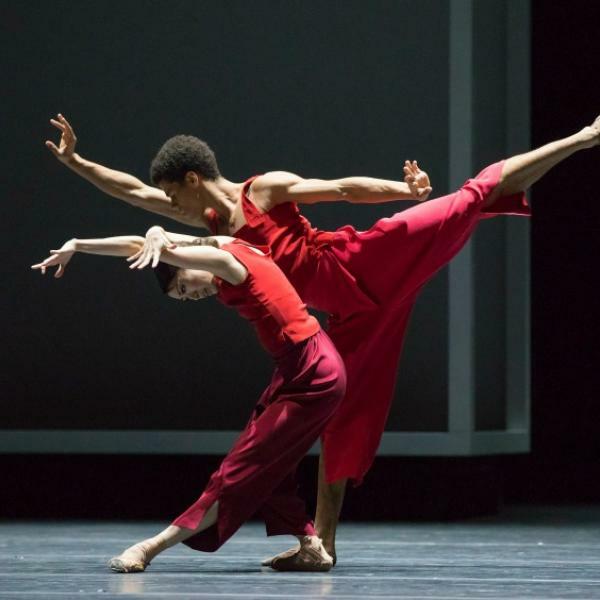 He designed Company Wayne McGregor's clothes for Autobiography which had its world premiere at Sadler's Wells in October 2017. English fashion designer, Matthew Williamson collaborated with Wayne McGregor in 1996, designing the costumes for 8 Legs of the Devil. In 2012, Wayne and Matthew collaborated once more for Matthew's 15th anniversary film XV which stars Sienna Milller, Poppy Delevingne and Andrea Riseborough. Directed by Tell No One, the film also features dancers from the Royal Ballet and Company Wayne McGregor.